What is the significance of Jerusalem to Christians and Muslims? Jerusalem holds the same religious significance for Palestinian Christians and Muslims as it does for Christians and Muslims everywhere. Its name in Arabic, al-Quds ("the Holy"), signifies its central roles for both religions. 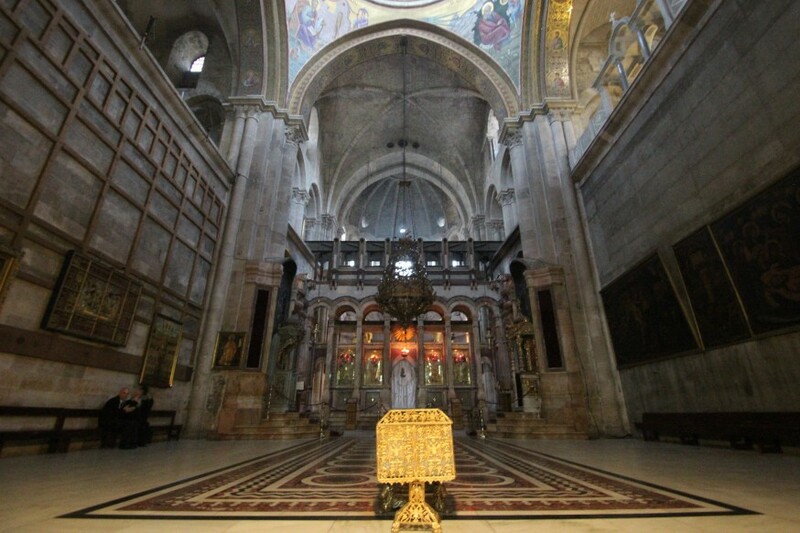 Both the Church of the Holy Sepulchre, Christianity's most holy site which commemorates the crucifixion, resurrection, and ascension of Christ to heaven, as well as the Via Dolorosa, the route Christ is believed to have walked to his crucifixion, are located within the walls of the Old City. Jerusalem is also the administrative seat of three Arab Christian denominations: Greek (sometimes Eastern or Arab) Orthodox, Latin (or Roman) Catholic, and Anglican, as well as for other eastern churches, such as the Coptic (Egyptian) and Armenian churches. Palestinian Christians attend religious rites in the city, and resort to ecclesiastical courts and other institutions that address important social needs. For Muslims, Jerusalem is the third holiest city in Islam, after Mecca and Medina. During the first ten years of Islam, Muslims faced Jerusalem, not Mecca, while praying. This was in acknowledgment of the continuity between Islam and the earlier monotheistic prophetic traditions, Judaism and Christianity. It was only later that the Prophet Muhammad directed Muslims to face the Ka'aba in Mecca, signifying the growing independence of the new religion. In Jerusalem, the Haram al-Sharif, or Noble Sanctuary, contains both the Dome of the Rock and the Al-Aqsa Mosque. The Dome of the Rock, with its striking painted tiles and gilded dome, is one of the most distinctive features of the Jerusalem skyline. It was built in 691 A.D. over a rock from which Muhammad was said to have ascended to heaven on a winged horse (al-buraq), returning the same night. The Al-Aqsa Mosque was built on the site where Muhammad is said to have tied his winged horse upon arrival in Jerusalem from Mecca. Muslims from all over Palestine congregated to pray at Al-Aqsa Mosque on Fridays - thought restrictions imposed by Israel sometimes prevent them from doing so. Apart from its religious significance, Jerusalem has been an administrative, economic, and cultural hub for the Palestinians.